Sorry for the lateness of today’s post. 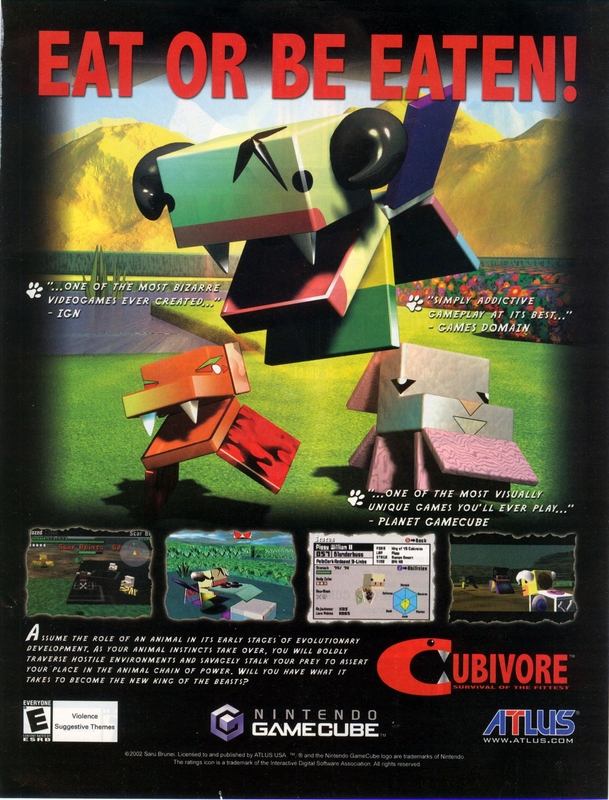 Cubivore was developed by Saru Brunei and Intelligent Systems for the Nintendo GameCube in 2002. Nintendo published the title in Japan, but decided not to localise it. In an uncharacteristic move, they licensed the game to Atlus, who published the game in North America. The game is somewhat difficult to find due to a small print run, and can command a premium price.